improperly. When a company has the license from the state, they are trained on how to consider such things as run off and drift from the wind which are important factors when it comes to the health of other plants around your home and the environment as a whole. As mentioned, many companies who offer roof cleaning also offer a roof treatment to help keep moss off your roof for a certain amount of time. However, many of these companies do so without a license and applying it without one is actually illegal in the state of Oregon and can end in the payment of heavy fines. As a home owner, when collecting quotes for a roof moss removal, it is vital to ask if a company has a current PESTICIDE LICENSE from the OREGON DEPARTMENT OF AGRICULTURE. By doing so, you know that they have the necessary training to apply the chemicals properly and you also help ensure that no illegal activity is taking place on your property. 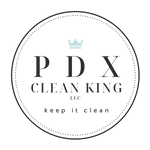 At PDX Clean King, when we say we are Licensed, Bonded and Insured, we mean it. We have both required licenses from ODA along insurance that protects you as the home owner. Need proof? Just as us! It’s important to us that our customers are treated the way you deserve and that includes covering bases that you may not have considered or even knew about through no fault of your own. If you’re looking for moss removal in Portland Oregon, then we are more than happy to help! Contact us today for your FREE estimate!